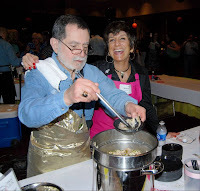 Tickets for the 10th anniversary Cookin’ Men event are available for purchase online at Parkview.com/CookinMen! 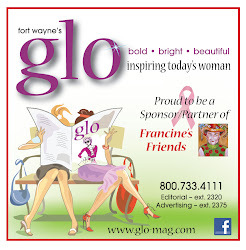 This year’s event will take place on April 27, 2013 in its new location at the Grand Wayne Convention Center. As an annual fundraiser for women’s health, funds raised at this year’s Cookin’ Men event will benefit Parkview’s partnership with Francine’s Friends Mobile Mammography Program. In support of the cause, nearly 100 men from throughout our community will don chef hats to serve up their specialty dishes. Amidst the roster of this year’s chefs are countless familiar faces, including Parkview’s own Mike Packnett, Ben Miles, Mike GeRue, Dr. James Edlund, Dr. Robert Godley, Dr. Greg Johnson, Dr. Mark O’Shaughnessy, Dr. Roy Robertson, Tommy Forbes and Samaritan crew members Bob Pequignot and Jay Curry! You won’t want to miss out on this night of food and fun.